Phone calls are a necessary evil for auto repair shops. Unfortunately, the phone never seems to ring at a convenient time like when the shop is slow. Typically, the phone rings when the front desk has a line three customers deep and the team has another two calls placed on hold. While those phone calls may be interruptions to your daily routine, they are also opportunities to grow your business. There are two types of people that can be on the other end of the line: current customers or potential customers. Both serve as opportunities to generate more revenue for your shop. Often times, for non-customers, a phone call is the first impression a person has of your shop. It is your team's job to make a great first impression and set a future appointment. In an industry that is commonly viewed as dishonest and rude, it is crucial to have a friendly, personalized and knowledgeable presence while talking on the phone. What are the components of a successful phone call? What do customers think of your shop based on your greeting? First impressions are important, even if they happen over a phone line. From the words that you say to the tone in which you say them all affect what a person thinks about their experience with your business. So, what should every shop include in their opening? Auto repair shops should have a standard for how employees communicate with customers. 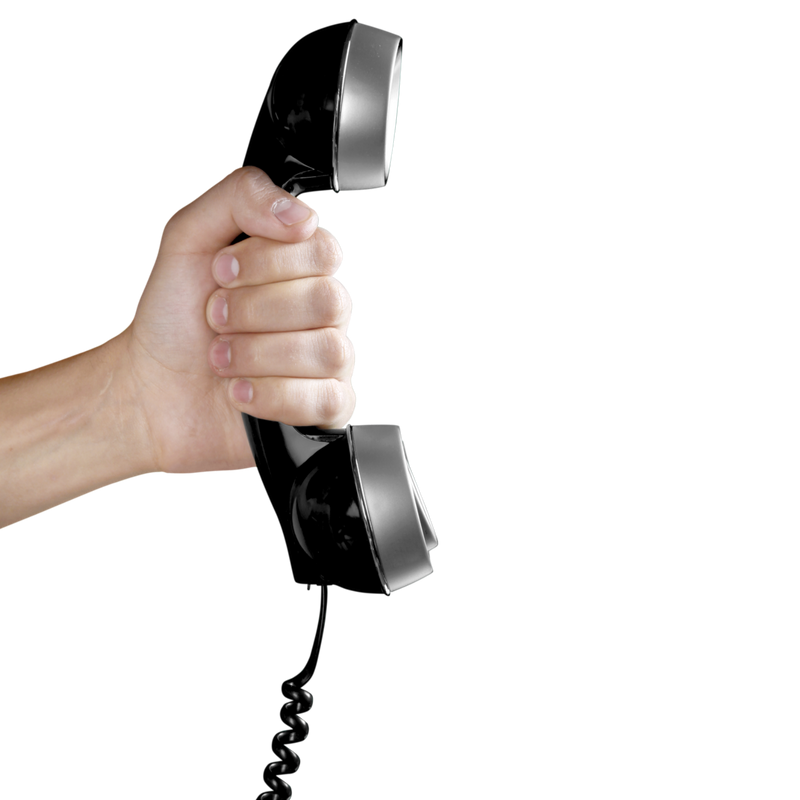 Does your shop have a standard greeting for all employees that handle phone calls? Despite all of the chaos and mayhem in the showroom or bays, your shop needs to have put it's best foot forward on every greeting. Yes, a smile is an important part of your greeting. According to Forbes article, 4 Reasons Why Excellent Customer Service Should Start With a Smile, "our tone of voice on the phone and style of our correspondence communicate a virtual smile—or the lack thereof." Smiles are not just a visual representation of a shop's willingness to serve their customers, but it reflects in the tone of voice as well. Knowledge is power! The more information you have about your caller and your vehicle, the more control you have in the call. 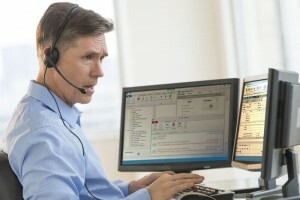 By knowing who is on the other end of the call as the phone rings, you make the most of your time on the call. People are busy and the time it takes to spell out their name and run through their information is better used elsewhere. Through the use of products, like Pro Call, a shop immediately has access to all information on the caller, including their average spend, future appointments and recommended services. Not only does the call become more personalized by having a full understanding of who it is the shop is talking to, it also gives the shop more opportunities to prepare the driver with what is needed on their next trip to your location. When people call an auto repair shop, they typically have a specific service or request in mind. As a shop owner or service advisor, it is your duty to know your customers and their vehicles. Educate the callers and set clear expectations for their visit to your shop. By having their customer profiles readily available while speaking on the phone, you will be able to look at recommendations from their last visit and upcoming service appointments. By clearly communicating the status of their vehicle, the customer will be able to plan accordingly for their trip, both in time and budget. Phone calls can win customers or lose customers. 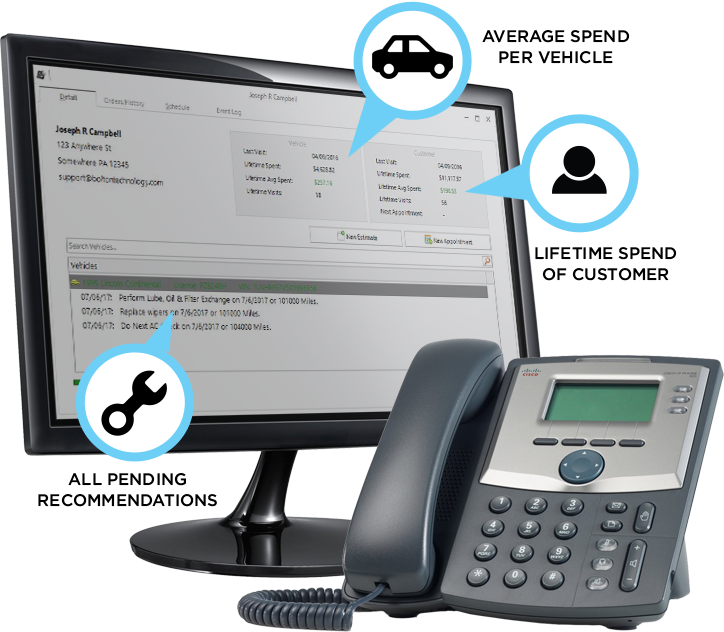 By creating standards and implementing helpful technology in your shop, your shop can enhance the success of your phone calls and generate more predictable business.